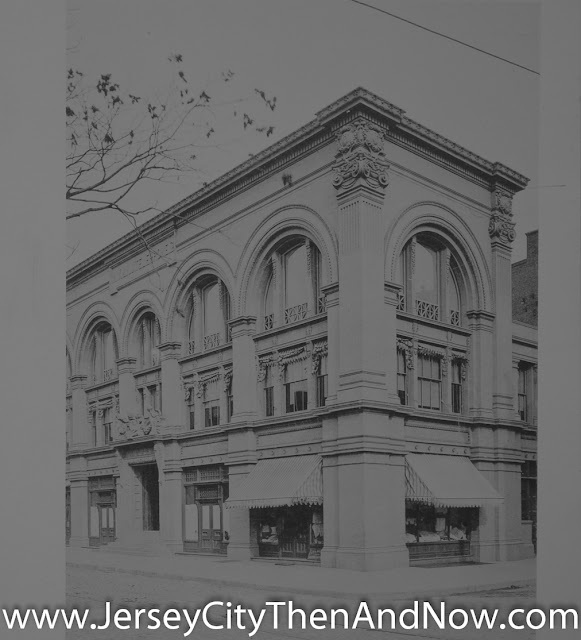 The NY & NJ Telephone Co building has fared well over the years - the store front detailing, the stone carving over the entrance and some iron work on the second floor is missing - but overall in pretty good shape. In the old picture, please note the trolley tracks, though they are barely visible - there was a horse 'pulled' trolley running on Erie St. In a high resolution picture it's possible to see that the ground floor store is selling 'Fancy Goods'. 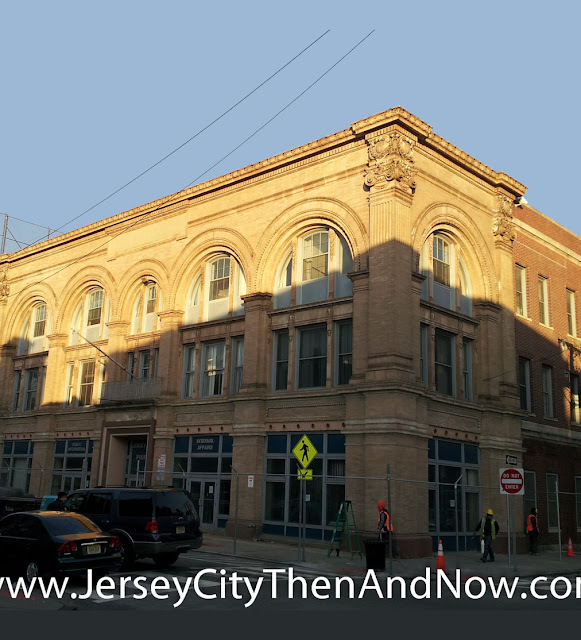 The old NY & NJ Telegraph Co Building is currently being converted to residential apartments and commercial space on the ground floor.